In this post, I’ll list out the things that I think IT Pros should expect Microsoft to talk a lot about at Ignite. And while, as an MVP, I do have quite a bit of inside knowledge, I’m not using that or breaching any NDA here. There’s lots of tea leaves scattered about in the Microsoft world, and you don’t need a crystal ball to assemble them. For his first trick, The Great Gambini will tell you the obvious. Day one is going to be Azure – Azure – Azure! Already, the news has started to drop with pre-announcements ahead of Monday on the Azure blog. And a few things have even appeared in the Azure Portal that haven’t been announced yet. If you thought that Microsoft overdosed you on cloud before, then you’ve not seen anything yet! 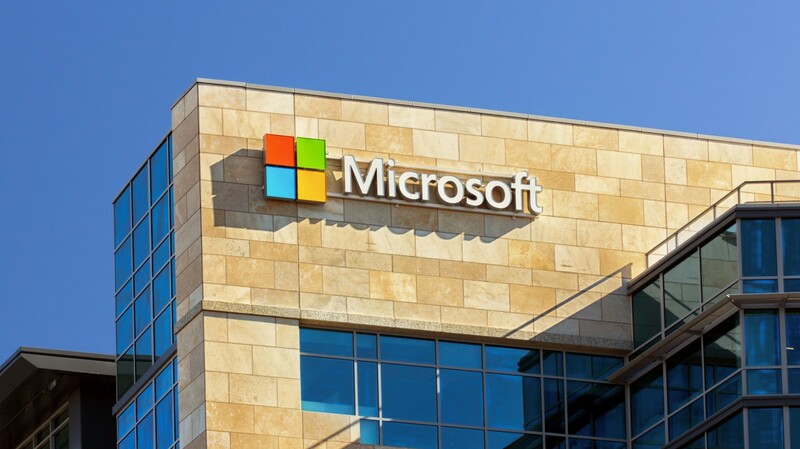 The corporation’s global sales and marketing organization just went through one of the biggest shakeups in Microsoft’s history; there’s probably very few subsidiary staff members from before July that don’t have a new job today. The message from Microsoft is clear: the cloud is here, whether you like it or not. As an IT pro, you need to realize that the C-level staff are comparing what you do today with that the cloud can offer. Microsoft has an offering that is integrated and is an evolution of much of what you’ve been doing with Active Directory, Windows Server, Exchange, SQL Server, and so on, and has been built from Visual Studio up to suit the ways that developers should work – admittedly, I am biased! They want you to try their cloud offerings, and learn them. Enhance your career now, before you become tomorrows mainframe administrator. Microsoft worked with Dell, HPE, and Lenovo to start shipping Azure on hardware that you own. Cisco and others will join the ranks. You might hear terms like “snowflake clouds” get thrown around at Ignite to describe what others can offer. Azure Stack is wheeled in with standardized software on standardized hardware, to give you something that is Azure. Hybrid cloud is here, and you’ll be told that you don’t need to master VI to make it work. In the Microsoft world, every single one of the above is powered by …. Windows Server. Windows Server Hyper-V just rolled out to Azure hosts (D_v2-, E_v3-, and M-Series). Windows Server powers private cloud and Azure Stack. And Windows Server powers a large percentage of the virtual machines we deploy in Azure, AWS, and on-premises. Microsoft is giving us 2 builds of Windows Server a year, starting with 1709 which will probably be released at Ignite, including lots of new features. One of the biggest things that I’ve asked for, as an MVP behind closed doors, is a new user interface for managing roles such as Hyper-V. MMC is long in the tooth, and it wasn’t great when it was new either! The preview of Project Honolulu will say Aloha to the world in Orlando, giving the public their first peek at next-generation administration for Windows Server. This web-based interface is something totally knew, and a lot of private feedback has shaped it. You’ll start to get your chance to shape Honolulu next week. Most of the chatter about Windows 10 in the media and podcasts is about consumer stuff. In the enterprise, we care about management, security, compliance, the looming-y2K-style threat/opportunity of GDPR, and more. Windows continues to be the platform of the enterprise, despite noise about Galaxy-this and MacBook-that, and Windows 10 Enterprise (E3 and E5) are the cornerstone of Microsoft’s strategies. Brad Anderson’s management & security group just got swallowed up by Terry Myerson’s client platform group. That, to me, suggests deeper integration, and hopefully, a promise of a more consolidated message. Quite frankly, I am totally confused by Defender-this, -For Business-that, and the maze of cloud, on-premises, and management solutions in the Microsoft catalogue. Last year at Ignite, I watched a day 1 presentation that showed these tools in use together to diagnose security issues, and the presenter bounced all over the place. I was lost, and I consider myself to be well informed. I know that my customers (Microsoft partners) are totally clueless about Microsoft’s offerings in this space, and I don’t blame them. We’re going to hear a lot about the Defender features of Windows 10 Enterprise. Microsoft will try to convince me that Autopilot is better than MDT (not a hope! ), and there will likely be lots of “for Business” or “for Enterprise” alternatives to tools that we already know. If you need proof that this is a new Microsoft, then SQL 2017 is it. On October 2nd, you’ll be able to download SQL Server 2017 for Windows. In other news. Microsoft will also ship SQL Server 2017 for Linux. Steve Ballmer must be rolling over in his grave! Truth be told, much of this new Microsoft started under Ballmer’s regime; Microsoft has been hiring Linux developers for year and teaching them to be Windows developers. It only made sense in this new era of cloud services to recognize that the money in the wallet of a penguin-hugger is just as good as that of a Zune fan. Did you know that Satya Nadella wrote a book? I wonder if it’ll get a mention next week at Ignite? I wonder if they’ll have plentiful copies for sale around the conference center? It’s quite rare that we get a first-person look inside a tech corporate shift, such as this. Often books describe revolutions using hear-say and quotes from anonymous sources years after the fact. I admit, I want to read listen to this book on my commute to and from work, but I am a little concerned that I’ll be hearing a 6-hour version of Satya’s regular keynote speech on intelligent cloud/edge and mobile experiences. I’d rather hear Satya talk for real, because he strikes me as a deep thinker that could possibly tell a great story.